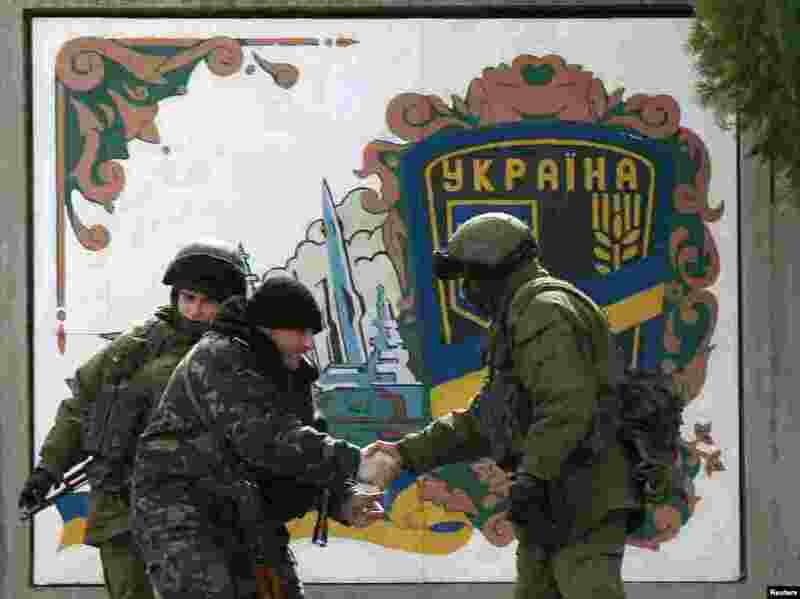 ۱ Ukrainian serviceman (2nd L) shakes hand with an armed man, believed to be Russian serviceman, at the Ukrainian military base in the village of Perevalnoye near the Crimean city of Simferopol. Crimea's pro-Russian prime minister will give people living there the choice of taking Russian or Ukrainian passports if the Ukrainian territory becomes part of Russia in a March 16 referendum. 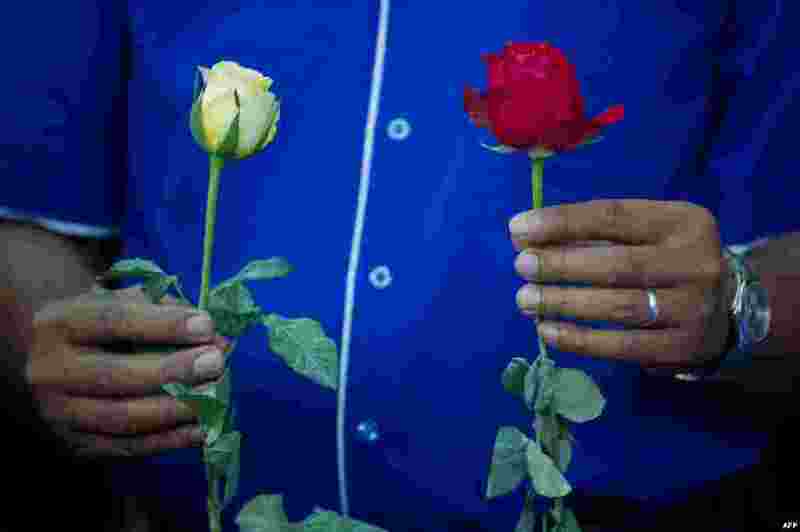 ۲ A member of a youth group holds roses as he prays for the missing Malaysia Airlines Boeing 777-200 plane at a hotel in Putrajaya, Malaysia. 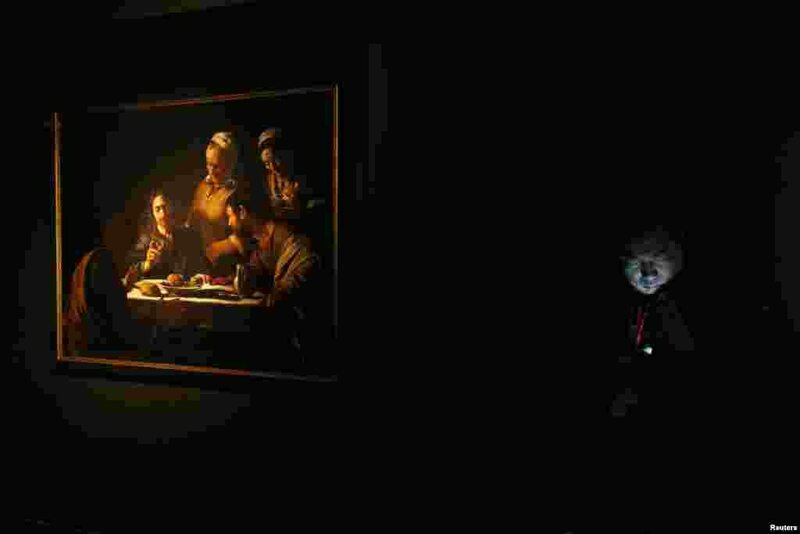 ۳ A security guard checks his mobile phone beside Baroque masterpiece 'Supper at Emmaus', by Italian painter Caravaggio, after it was installed at a gallery in Hong Kong. 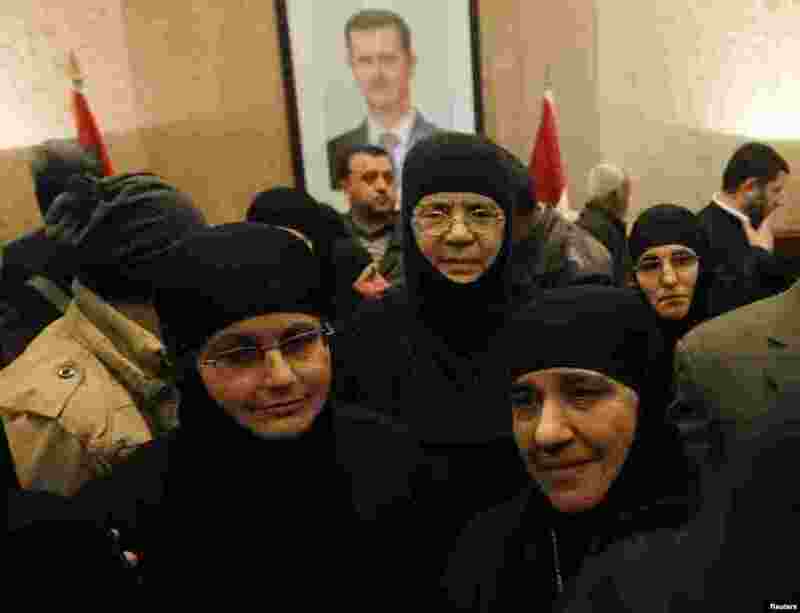 ۴ About a dozen nuns, who were freed after being held by rebels for over three months, arrive at the Syrian border with Lebanon at the Jdaydeh Yaboos crossing, Syria. 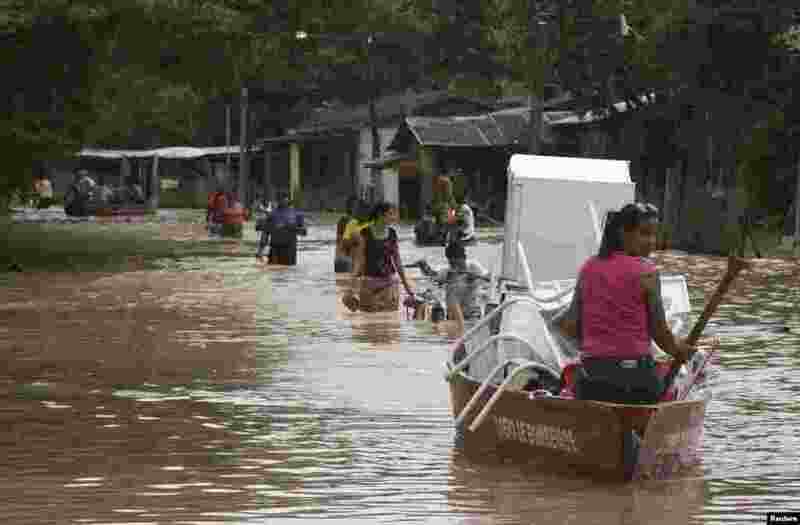 ۵ Residents and Civil Defense troops salvage belongings from homes flooded by the Acre river, which continues to rise from weeks of heavy rainfall in the region including northern Bolivia and eastern Peru, in Rio Branco, Acre state, March 9, 2014. 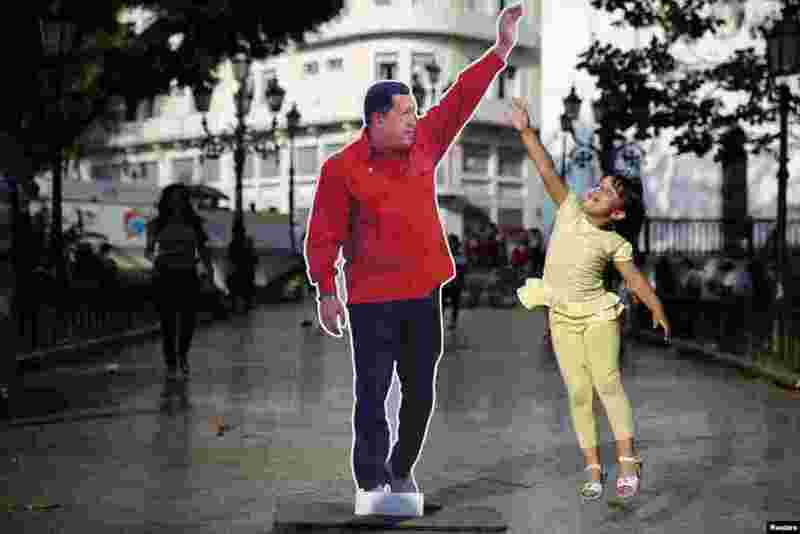 ۶ A girl jumps next to a picture of late Venezuela's president Hugo Chavez at Plaza Bolivar in Caracas. Followers of Chavez are commemorating the first anniversary of his death this week, March 9, 2014. 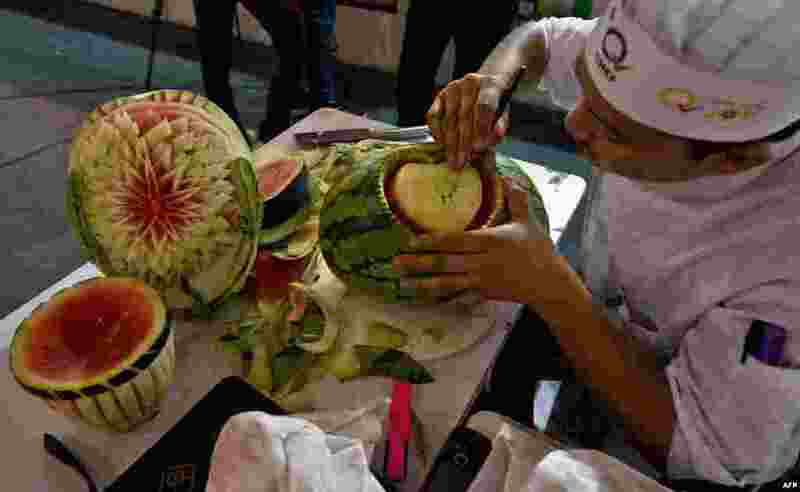 ۷ An Indian chef carves a watermelon during a fruit and vegetable carving compitition at 'Culinary Art India 2014' at Pragati Maidan in New Delhi. 250 chefs come together, under one roof to show-off their culinary skills. ۸ This photo released by the Polk County Sheriff's Office shows a plane nose-diving into the ground after getting tangled with a parachutist, at the South Lakeland Airport in Mulberry, Fla. Both the pilot and jumper were hospitalized with minor injuries, March 8, 2014.